Susana talks about diversity and uncertainty in a world where students must be equipped to deal with complexity. Compelling key words in her interview include growth, a globally connected approach, collaborative learning environments and new learning/ teaching cultures. For more details about the project she will focus on at ELT Malta, watch her interview below. 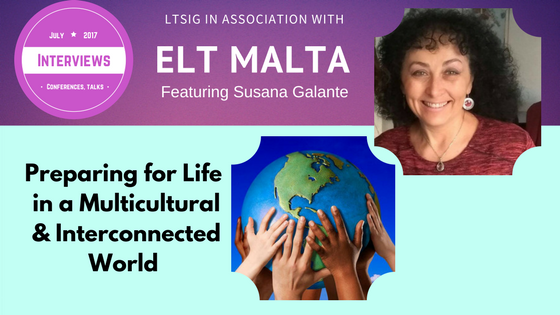 Needless to say, Susana’s topic will bring up big questions and it will certainly be interesting to see how English language teachers can guide students towards handling complexity and embracing diversity through language learning. Bio: Susana is originally from Argentina where she got her professional training and started her professional career. She always dreamt of learning about different cultures, so she learnt languages and eventually travelled around Europe and got to Israel. She has been there since 1988, where she has developed her career as an English teacher, mostly at a high school for thirty years, before moving onto the Kibbutzim College of Education, where she currently works. She gives a course on the integration of technology in the teaching of English and is also a pedagogical adviser / methodology teacher in another college. She has initiated and coordinated various multicultural projects involving collaborations with classes in the US, the Netherlands, Norway and France. 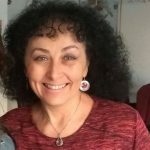 She recently managed and designed a multicultural project to connect Jewish and Arab students within Israel in a computer-supported collaborative learning environment, which is the basis for her session in Malta.